The 2012 Summer Olympics was a major international multi-sport event celebrated in the tradition of the Olympic Games. It took place in London at the newly built Olympic park in Stratford and to a lesser extent across the United Kingdom during the summer of 2012, with just under 11,000 athletes taking part from all over the globe. 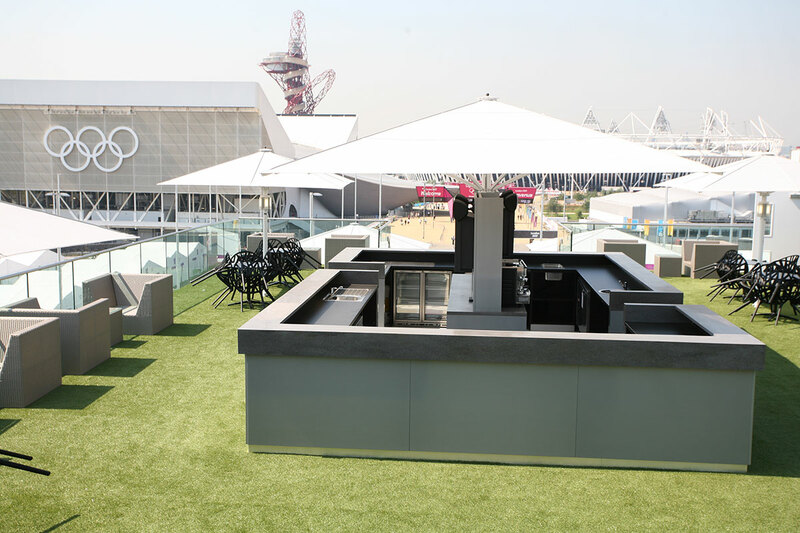 This exciting brief required a custom designed solution for a rooftop broadcasting and hospitality area for the BBC. 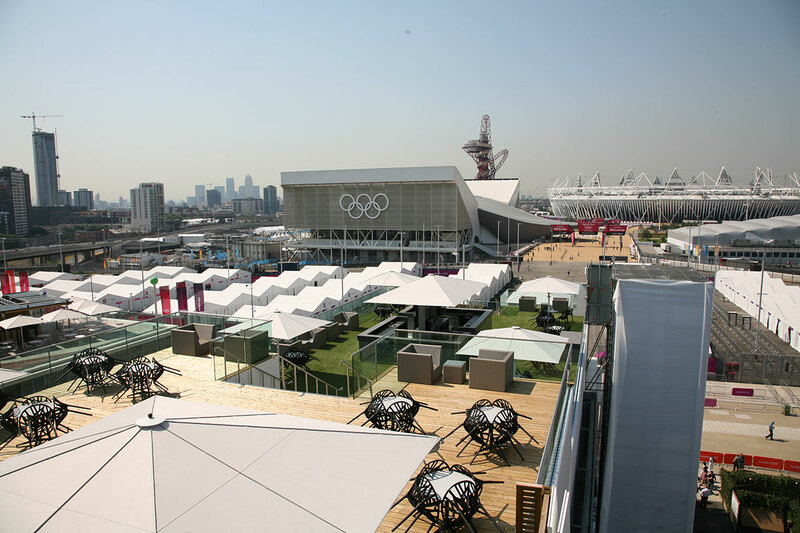 The structure would sit high above London on the roof top of the Westfield shopping centre in Stratford and was required for the duration of the 2012 Olympic Games. It took months of in-house design work to ensure that there was no risk of our proposed structure causing any damage to the roof top of the newly built Westfield shopping centre. With shoppers in close proximity, our health and safety team worked closely with our operations team to ensure that the risk of any danger to shoppers was completely eliminated. Media Structures used our system scaffold to create the main structural body, using specially made beams to bridge across a large open space. With the structure in place, the front and side elevations were wrapped with white sheeting hiding any of the interior structure. It was now over to our finishing team who added the custom designed stainless steel handrails and made to order clear glass for an on brief professional finish. 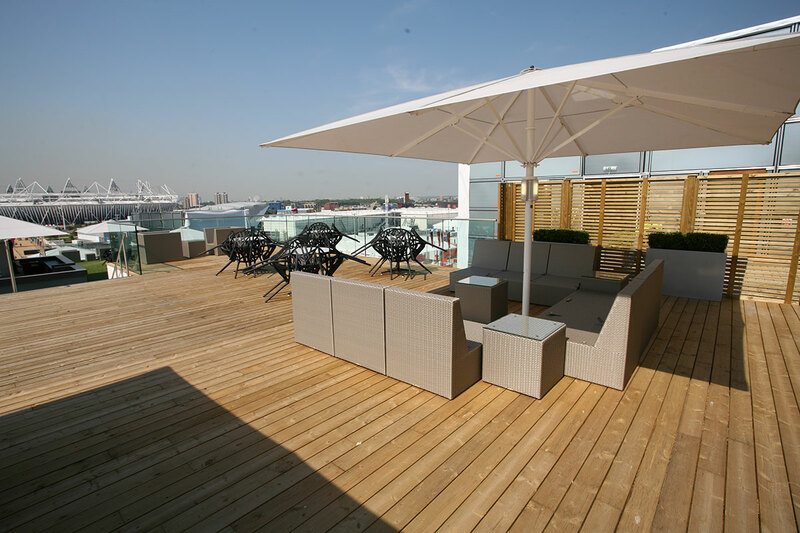 All walls and decks were clad with high grade plywood providing a high end finish with softwood decking and AstroTurf throughout, this in return created a real rooftop garden feel. 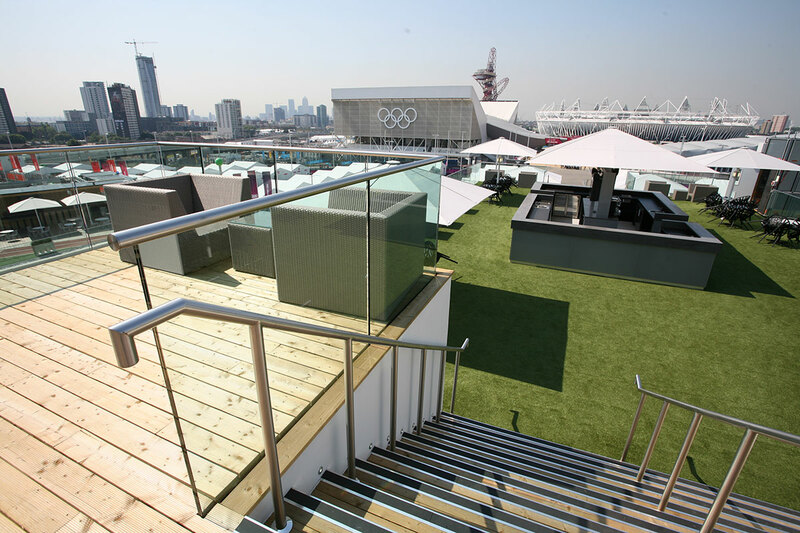 The final touches were added with décor and paint colour’s to complete the luxury roof top hospitality experience for the TV, broadcasting crews and 2012 Olympic athletes.